Siner and part-time gambler Mike O’Rourke, 18, and his roommate Robert Petty, 23, are eating in Smith’s rest-aurant in Charleston, Arizona. It’s lunchtime, and Tombstone Mill & Mining Company’s chief engineer Phillip Schneider, 28, comes in and sits at the next table, joining A.E. Lindsey, a local telegraph operator. Having finished his meal, O’Rourke gets up and walks over near the fireplace, sits on a stool and lights a cigar. “You let go of me,” Schneider demands, but Petty holds him firmly until he complies. O’Rourke heads for the door, yelling, “I will lick you when you come out.” Some two minutes later, O’Rourke returns and repeats his threat. O’Rourke is armed with Petty’s pistol, which he has retrieved from their room. O’Rourke says he fears Schneider will “jump” him when he comes out. 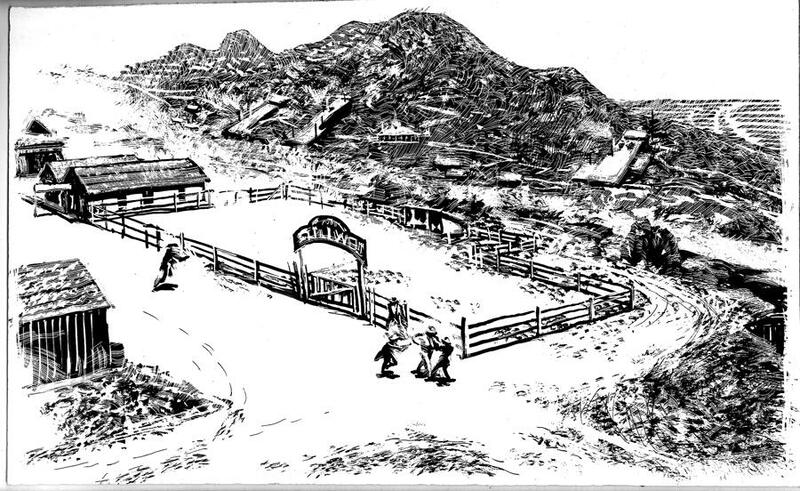 The two walk down near the corner of Frank Stilwell’s corral, where they again meet with the telegraph operator. “I think that old fellow is crazy,” says Lindsey, referring to Schneider. O’Rourke holds out his left hand, warning Schneider to stay away from him, but Schneider keeps coming as he pulls out something from his coat. The pistol discharges, the bullet hitting Schneider above the upper lip on the left side of his nose, killing him instantly. O’Rourke drops the weapon and starts running toward the San Pedro River. 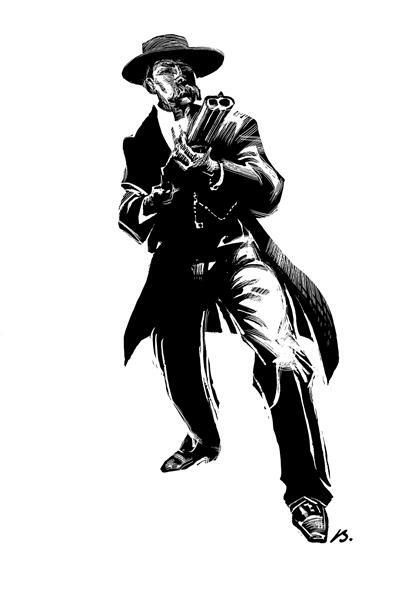 Constable McKelvey races up, grabs O’Rourke’s pistol and demands that O’Rourke stop, but he keeps running. McKelvey’s weapon misfires, so he successfully fires O’Rourke’s pistol. Johnny-Behind-the-Deuce stops immed-iately and is arrested. The battle for a young gambler’s life has just begun. Would so many miners abandon their work to rally for vengeance, if Schneider was a known bully? As for Schneider’s rudeness to O’Rourke, friends claim that his cabin had been burglarized and he suspected O’Rourke. Also, keep in mind that all of Schneider’s alleged comments during the final confrontation are reported by O’Rourke, Petty and Lindsey. Hardly objective bystanders. Was Schneider a big bully who deserved his death or a well-liked mining engineer who was murdered over a verbal slight? Perhaps he was both: A hard- working mining man who took no guff and pushed a minor altercation to a tragic end. 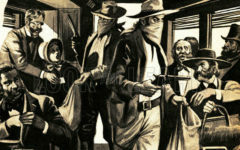 Word reached Charleston authorities that cow-boys were “preparing to take [O’Rourke] out of custody.” Fearing their prisoner will either be set free by the cow-boys or lynched by a growing number of angry miners, town officials put the prisoner in a wagon and Constable McKelvey slapped the reins for the 10-mile ride to Tombstone. Charleston authorities telegraphed Tombstone Marshal Ben Sippy, alerting him that the prisoner was on the way. Soon after the 12:30 a.m. Schneider shooting, the following telegrams were sent from Charleston to Richard Gird in Tombstone (the mill was in Charleston; the mine, in Tombstone), warning of a possible rescue attempt. To Richard Gird; Schneider has just been killed by a gambler; no provo-cation. Cow boys are preparing to take him out of custody. We need fifty well armed men. To Richard Gird; Prisoner has just gone to Tombstone. Try and head him off and bring him back. to appear at inquest. See that he is brought back. The “murderer” reached “the corner of Fifth and Allen a few minutes after the dispatches had been read” (about 2:30 p.m.). He possibly was escorted by Virgil Earp, who had picked him up along the way, and taken to Vogan’s Saloon. Gird’s miners descended on Allen Street to demand the prisoner be taken back to Charleston. Some in the crowd may have been worked up, but Gird’s intentions were honorable. “Mr. Gird himself [maintains the miners] were ordered to report to the officers, in keeping with the tenor of the dispatches received by him, to sustain the law,” the Epitaph reported. 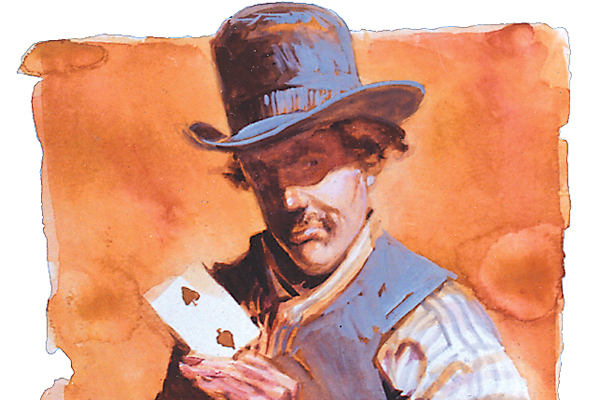 It’s also significant that the miners faced a contingent of lawmen who appeared to be gamblers (Wyatt Earp was a faro dealer at the Oriental Saloon) and had hid their prisoner in Vogan’s Saloon. It’s not hard to imagine that the miners felt they were getting the short end of the stick (Curly Bill Brocius had recently dodged justice and caused havoc in Charleston mere weeks before). 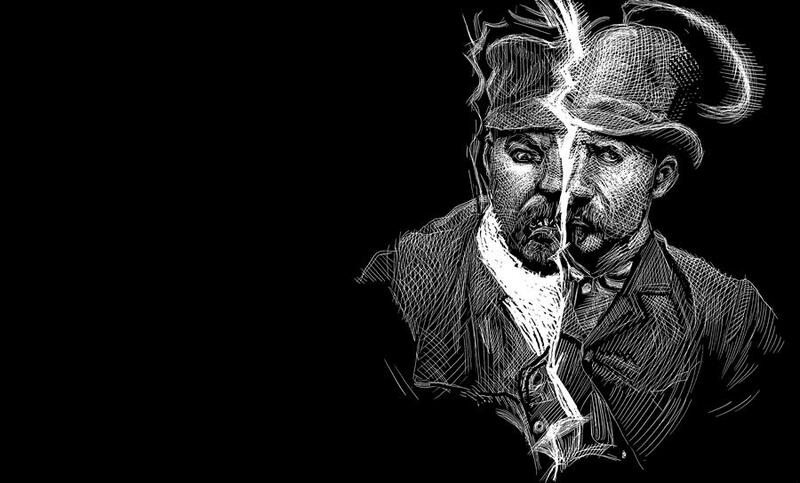 When Virgil Earp rode up with Johnny-Behind-the-Deuce and de-posited him at Vogan’s Saloon, an angry crowd soon formed. The following description was reported in the January 17, 1881, Epitaph. it fails in its performance as it has lately done. Did Wyatt Earp Hold Off the Mob by Himself? 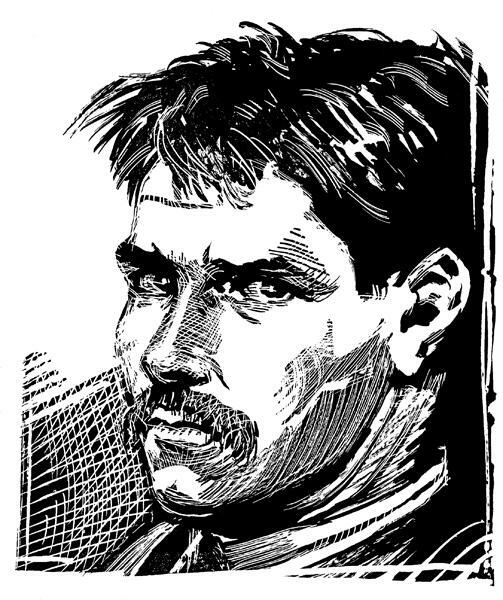 Starting with Stuart Lake and his book Wyatt Earp: Frontier Marshal (1931), Wyatt Earp is portrayed as single-handedly holding off the O’Rourke lynch mob. 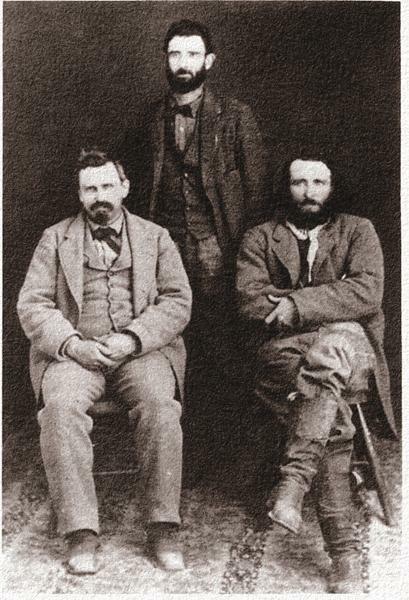 This is at odds with the newspaper accounts and Parsons’ diary, neither of which mention Wyatt’s name (the Tucson Citizen gives credit to “Deputy United States Marshal Virgil Earp and his companions”). Even in this latter-day account, Parsons doesn’t claim that Wyatt acted solo. “His team” went down the street, and it was “a nervy proposition particularly on the part of Wyatt,” which presumes he was part of a larger posse. In spite of the lack of evidence, it’s probably safe to say Wyatt helped his brother Virgil and Marshal Sippy hold back the mob. It would have been totally in his nature and makeup for Wyatt to step forward into the breach. But it’s also ludicrous to think that Wyatt did it all by himself. The 15-man posse rode with Deputy Sheriff John Behan, Constable George McKelvey and Marshal Ben Sippy for 12 miles. 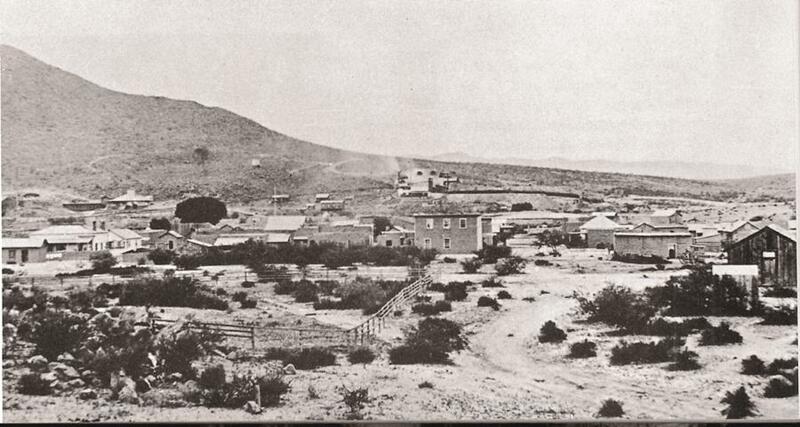 Although threats were made that the mob would intercept them at Pantano by taking a shortcut, no action materialized. The prisoner was delivered without incident to the Tucson jail. The miner’s fears came true: Mike O’Rourke had escaped justice. Recommended: Johnny-Behind-the-Deuce by Steve Gatto, published by San Simon Publishing Company. Early Arizona photographer C.S. Fly captured this view of Charleston, c. 1885. By January 1881, O’Rourke is hanging out in the town of Charleston where he rooms at a “hotel” (apparently more of a boarding house attached to Smith’s restaurant). Schneider confronts O’Rourke at the corner of the Stilwell corral. Schneider was on his way back to the mill where he worked (across the river, middle right). Down the street comes McKelvey, but he is too late. The 1880 census lists Schneider as a 28-year-old machinist who was born in Bavaria. There are no known images of the engineer, but legend has portrayed him as both good and evil. Superintendent Richard Gird (seated left), shown here with Al and Ed Schiefflin. Gird’s role has been obscenely caricatured as being a mob leader. He actually told his miners to assist the officers in protecting Mike O’Rourke, or at least keep him in custody. 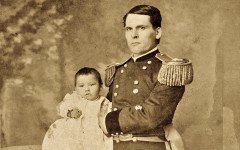 A Babe on the Battlefield How a tenacious mother saved her daughter during one of the deadliest massacres in U.S. history. 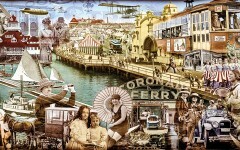 Crown City’s Old Vistas Coronado Island showcases its sweeping history in incredible art murals.